‘Devotees’ is a collection that explores the practice of devotion and adoration, reflecting on society’s reverence to inanimate objects and they way in which they shape the world we live in. The talisman and the idol were used as a source of inspiration for the colour palette, silhouettes, and crafted embellishments that featured in the collection. Creative Director Liam Bowden says the silhouettes and use of PVC represent a second skin when placed over signature pieces, which protect and revere the objects contained within it. “[It creates] almost transportable temples of modern day craftsmanship” says Bowden. 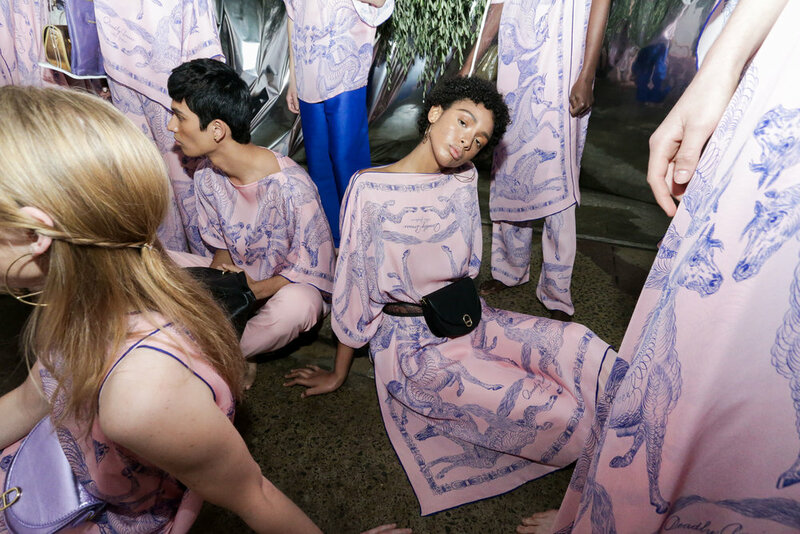 The on-site presentation at Sydney’s iconic Carriageworks location took place this week in the majestic Elston Room to an audience of 250 guests. The models were dressed in covetable Deadly Ponies scarf print outfits, accessorised with designs from Deadly Ponies Resort ‘19 collection. To celebrate their debut MBFWA presentation, Deadly Ponies has just released a ‘shop-the-runway’ mini collection on www.deadlyponies.com. 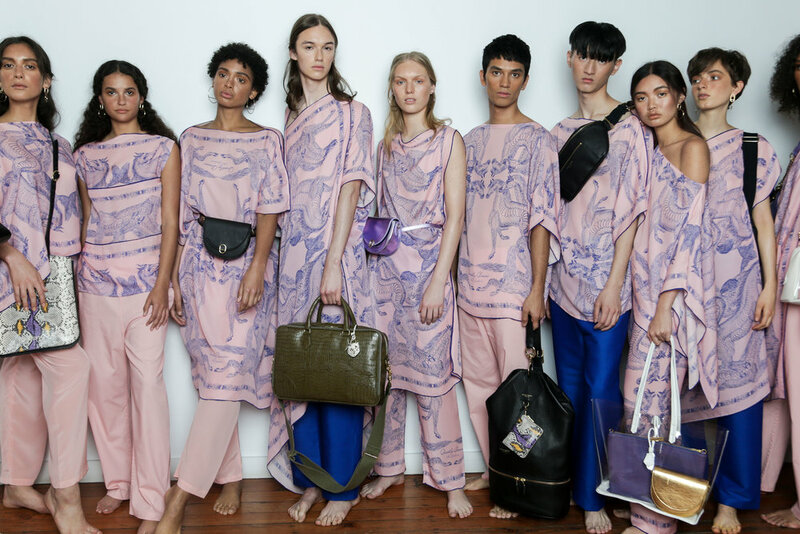 The first-release products will include the Wilde Scarf and Bridles which represent a sneak peek of the brand’s soon-to-be-released silk scarf collection.